In this second of two episodes on Europe's greatest festivals, we'll dance with Spaniards at Sevilla's April Fair, celebrate Bastille Day in Paris, run with the bulls at Pamplona, and hoist a frothy stein at Munich's Oktoberfest. And we'll celebrate a traditional family Christmas, browsing the holiday market in Nürnberg and sledding down alpine slopes by torchlight in Switzerland. With the entire Continent as our playground, fun is our mission. Every day for one crazy week, horses clog Sevilla's fairground lanes in an endless parade until about 8 p.m., when they clear out and the lanes fill with exuberant locals. The party goes on literally 24 hours a day for the entire week, and any tourist can have a fun and memorable evening by simply crashing the party. The city's entire fleet of taxis (who'll try to charge double) and buses seems dedicated to shuttling people from downtown to the fairgrounds (consider walking). Arrive before 8 p.m. to see the horses, but stay later, as the ambience improves after the caballos giddy-up on out. Some of the larger tents are sponsored by the city and open to the public, but the best action is in the streets, where party-goers from the livelier casetas spill out. Although private tents have bouncers, everyone is so happy that it's not tough to strike up an impromptu friendship, become a "special guest," and be invited in. The drink flows freely, and the food is fun, bountiful, and cheap. For nine days each July, a million visitors pack into Pamplona to watch a gang of reckless, sangria-fueled adventurers thrust themselves into the path of an oncoming herd of furious bulls. The festival begins at City Hall on noon on July 6, with various events filling the next nine days and nights. Originally celebrated as the feast of San Fermín — who is still honored by a religious procession through town on July 7 — it has since evolved into a full slate of live music, fireworks, general revelry, and an excuse for debauchery. The festival ends at midnight on July 14, when the townspeople congregate in front of the City Hall, light candles, and sing their sad song, "Pobre de Mí": "Poor me, the Fiesta de San Fermín has ended." Oktoberfest is held at Munich's Theresienwiese fairground, south of the main train station, in a meadow known as the "Wies'n." The festivities kick off on a Saturday in September with an opening parade of about 9,500 participants, and usually end on the first Sunday in October. Even though the beer tents are enormous, they're often full, especially on weekends — if possible, avoid going on a Friday or Saturday night. If you find yourself inside a tent with nowhere to sit, be bold — find an underused table and ask some potential new friends to scoot (or at least keep your elbows sharp). For some cultural background with your Wies'n visit, consider hiring a local guide or going as part of a group tour. If you'll be staying anywhere in Munich during the festivities, it's best to reserve a room early. During the fair, the city functions even better than normal, but is admittedly more expensive and crowded. The annual Christkindlesmarkt — Germany's largest, with more than two million annual visitors — engulfs the central square (Hauptmarkt), starting on the Friday before the first Sunday in Advent, and wrapping up on Christmas Eve. The Eggimanns rent three rooms — Gimmelwald's most comfortable and expensive — in their quirky but alpine-sleek house. Having raised three kids of their own here, Maria and Olle offer visitors a rare and intimate peek at this community. 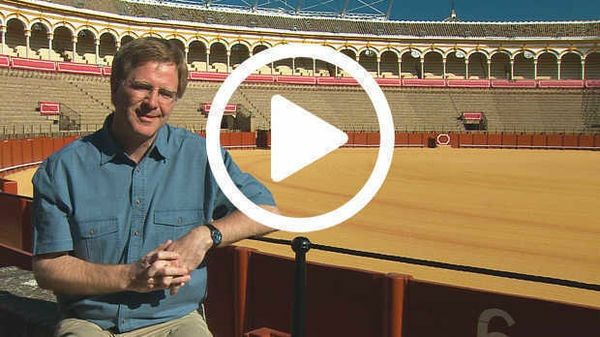 Hi, I'm Rick Steves and it's party time in Europe. 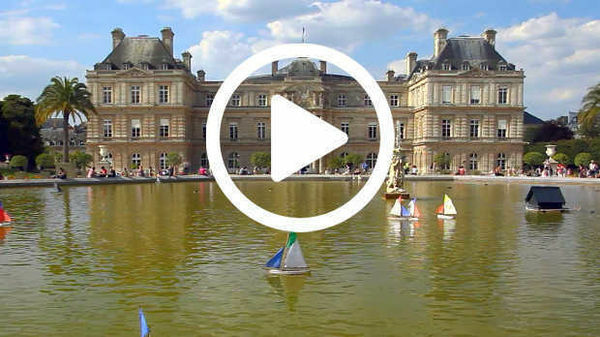 In this special episode we'll see no museums, and no art galleries! Just lots of Europeans having lots of fun. People here are expert at festivals — and we're invited. Let's go! Europe has some amazing festivals. And as travelers, we're welcome to join in. I've found that the more you relax, the more people you meet, and the more you eat and drink, the more fun you're gonna have. Now, with that attitude…let's party. In this second of two episodes on European festivals, we'll drop in on some of the continent's top parties — each rich in tradition and a celebration of local culture — and all of them full of opportunities to sing and dance, feast on traditional food, and party like a local. We'll dance with Spaniards, join wild and crazy crowds, and run for our lives. We'll browse holiday markets, sled down Alps by torchlight, drink lots of beer, and light up the sky. With the entire continent as our playground, fun is our mission. Over two episodes, we'll careen all over Europe. In this second one, we'll visit the April Fair in Sevilla, Bastille Day in Paris, the Running of the Bulls in Pamplona, Oktoberfest in Munich, and Christmas in Nürnberg, Norway, and Switzerland. 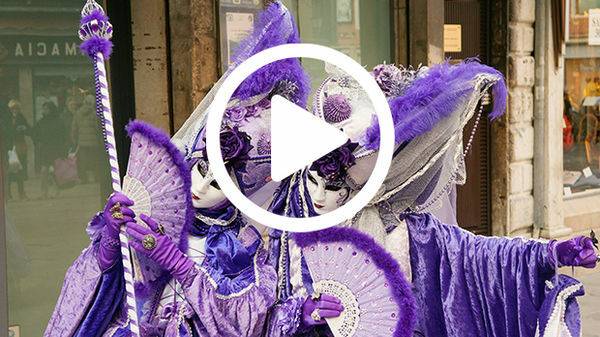 Europe, with all its history, art, and high culture, also knows how to celebrate. And, with centuries of practice, it does it with gusto. If you know where to travel and when, you can enjoy extravagant festivals throughout the Continent and throughout the calendar. And what better time of year to celebrate than spring — a season of renewal and rebirth. Throughout southern Spain, a region so expert at fiestas and romance, cities like Sevilla greet each spring with a festival for all ages [the April Fair]. A festival where the horses are nearly as dressed up as the people, [and] a springtime flirtatiousness fills the air — and travelers are more than welcome to join in the fun. For seven days each April it seems much of Sevilla is packed into its vast fairgrounds. The fair feels friendly, spontaneous…very real. The Andalusian passion for horses, flamenco…and sherry is clear. Riders are ramrod straight, colorfully clad señoritas ride sidesaddle, and everyone's drinking sherry spritzers. Women sport outlandish dresses that would look clownish all alone, but somehow [look simply] brilliant here en masse. People everywhere grab their folk instruments, pull on their national costumes, and gather together to celebrate their culture. In university towns throughout Spain, roving bands of musicians, like medieval troubadours, are a festival just waiting to happen. Colorful traditions are often rooted in a desire to stoke patriotism. Many European countries, like Norway, are democracies but still have constitutional monarchs. And they celebrate their royal heritage with a stirring Changing of the Guard ceremony — like this one at London's Buckingham Palace. These martial spectacles, like here in Sweden, are holdovers from a time when this coordinated show of force helped dispel any thoughts of attack or revolution against the crown. The festival, which packs the city, has deep roots. For centuries the people of this region have honored St. Fermín, their patron saint, with processions and parties. He was decapitated in the second century for his faith, and the red bandanas you see everywhere are a distant reminder of his martyrdom. And you know, I don't think anybody on this square knows…or even cares. Bulls thunder through the entire route in just two and a half minutes. The mozos try to run in front of the bulls for as long as possible — usually just a few seconds — before diving out of the way. They say, on a good run, you feel the breath of the bull on the back of your legs. Revelers fill massive tents, awaiting the grand opening. After trotting through much of Munich, the parade finally enters the fair grounds. Dignitaries are formally greeted, and another Oktoberfest begins. The tents are surrounded by a fun forest of amusements. There's a huge Ferris wheel. The five-loops roller coaster must be the wildest around. For locals and tourists alike, the rides are unforgettable, and probably best done before you start drinking your beer. The people watching — Germans letting their hair down — is itself entertaining. It's a slap-happy world of lederhosen, dirndls, fancy hats, and maidens with flowers in their hair. It's a multigenerational blowout — complete with schmaltzy music and lots of new friendships. Long a center of toy-making in Germany, a woody and traditional spirit that celebrates local artisans prevails. Nutcrackers are characters of authority: uniformed, strong-jawed, and able to crack the tough nuts. Smokers — with their fragrant incense wafting — feature common folk, like this village toy-maker. Prune people — with their fig body, walnut head, and prune limbs — are dolled up in Bavarian folk costumes. Bakeries crank out the old-fashioned gingerbread — the Nürnberger Lebkuchen — still using the original 17th-century recipe. Back then, Nürnberg was the gingerbread capital of the world, and its love affair with gingerbread lives on. Like Easter, Christmas is built upon a pagan pre-Christian festival. And we celebrate it today with plenty of pre-Christian rituals — often without even knowing it. Man: Oh, that's a good sign. In Salzburg they shoot big guns to scare away evil spirits. In the Tirol, fathers bless their house as their ancestors did. Families, friends, and food are integral to the French Noël. Winter brings a sense of magical wonder to Germany and Austria. Italy reveals the sacred nature of the season, from its countryside to its grandest church. Nature, in all its wintry glory, seems to shout out the joy of the season in Switzerland. And everywhere, Christmas is celebrated with family, as together Europe remembers the quiet night that that holiest family came to be. Children (singing): Santa Lucia, Santa Lucia. This home has housed widows and seniors for over 200 years, and today the kindergartners are bringing on the light in more ways than one. The children have baked the traditional Santa Lucia saffron buns — the same ones these seniors baked when they were kindergartners. And high in Switzerland, where the churches are small and the villages huddle below towering peaks, the mighty Alps seem to shout the glory of God. Up here, Christmas fills a wintry wonderland with good cheer. In these villages, traditions are strong…and warmth is a priority. Stoves are small, so firewood is, too. Still high above Gimmelwald, we're stopping in a hut for a little fondue. Fondue seems perfect in winter if you've come in from the cold. For [the Swiss], it sets the tone for a warm and convivial time. Combined with good friends and family during the Christmas season, we have all the ingredients for a delightful little Alpine festival.